What Does The Number Six Mean In The Bible?From series What Do The Numbers In The Bible Mean?. This resource talks about numbers. The number six has a bad reputation ... but there are no completely good or bad numbers, and the number six is no exception. When the symbolism associated with the number six is good, it is good, and when it is bad, it is very bad. The number six gets its reputation because the most prevalent symbolism associated with it in the bible is very bad. Following the numbers one, two, and three - which are essentially spiritual in nature - the numbers four, five, and six are essentially physical in nature, with each number getting less spiritual and more carnal. Remember the definition of the word carnal: having characteristics of the physical world and giving in to the appetites of the flesh. Since you finally attain perfection with the number seven, the number six is left to represent the most carnal, and sometimes even evil, side of man that prevents him from attaining his goal of perfection. Symbolism associated with the number six, then, revolves around giving in to those appetites, or conquering them. 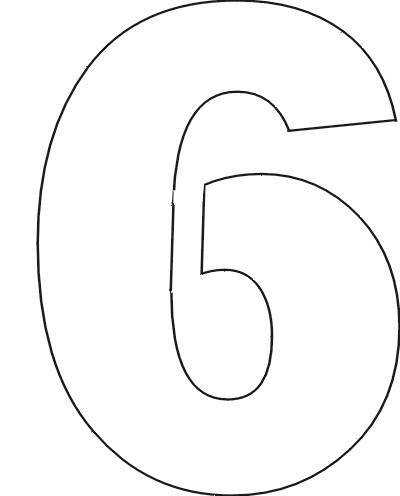 The number six does not appear in the bible often as an explicit number, but it is nevertheless very significant. It is, fundamentally, number of man. God created man on the sixth day. The sixth commandment prohibits the murder of man. Beginning with the physical world of the number four, the numeric code adds the concept of the individual to obtain the physical body in the number five. Then it adds the principle of the soul in the number six. Representing the longing for perfection inherent in every human being, the number six sometimes represents the best man can be but most often represents falling short of that perfection. Summarized from Cracking The Bible’s Numeric Code by Dr. R.J. Gannaway. What Does The Number Forty Mean In The Bible?